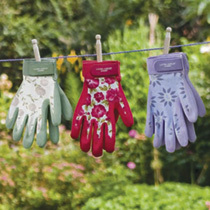 Complete your outdoor ensemble with a pair of pretty and practical Laura Ashley gloves. 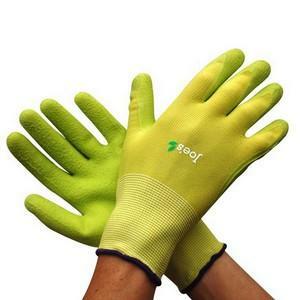 Made from patterned spandex with co-ordinating coloured latex coating, they’re waterproof and thorn-resistant. ANY ONE OF 3 COLOURS for only £9.99 each – lucky dip no style guaranteed. 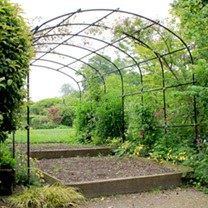 This beautiful elliptical pergola with its flatter arch looks fantastic over wide spans. Agriframes precision construction means it is easy to combine a succession of extensions to make your walkway as long as you wish. 15 year Guarantee. Why not add some steel lattice to provide extra support for your climbers? Available in the following sizes: 1.2m (4′) Base x 1.5m (5′) Length x 2.16m (7’1) Height & 1.5m (5′) Base x 1.5m (5′) Length x 2.26m (7’5) Height. Self clinging Clematis Vistula This Clematis is a self clinging variety that is at its peak in August when other varieties start to dwindle. This is an exquisite variety. 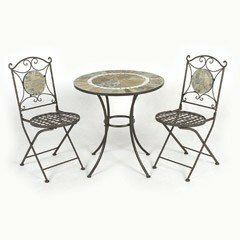 If you have always yearned after a piece of topiary, shaped to perfection, yet don’t want too much maintenance, then this is just the thing for you. Clipped into two perfect spherical ball shapes, one on top of the pot and one atop a standard form stem reaching 90cm, they add a modern sense of shape and form, as well as year round acid lime yellow colour too! Striking for sure! They look fab as a single centrepiece plant in a small formal square bed, or in pairs in modern pots. 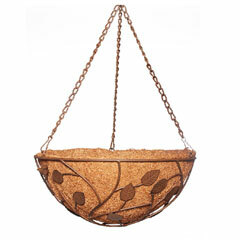 Keep watered well in summer, they are hardy, and only need one trim a year in june time. If you love the idea of growing juicy peaches but thought you couldn’t, then think again! ‘Avalon Pride’® represents the most significant development in Peach Tree breeding for over 100 years, meaning you can now grow it here in The UK, with complete confidence that you will get a fabulous crop of up to 20kg of delicious fruits per season for many years to come… This unique, ‘self-fertile’ variety carries a wonderful display of pretty, sweetly fragrant pink blooms in late March and April that go on to produce a bumper crop in mid-August each year. The productivity of ‘Avalon Pride’® is so good because of its self-fertility, added to its later than usual flowering time – which cuts down the probability of the blooms getting damaged by a late frost before the pollinators do their work! What’s more, this particular variety is THE WORLDS FIRST one that shows very high resistance to Peach Leaf Curl, a problem that blights almost all Peach varieties. It’s also totally winter hardy and will grow brilliantly when planted directly in your garden – ideally against a wall where it will thrive. Supplied as well-feathered, bare-root trees that are 1.5-1.8m tall, and grown on St Julian A rootstock, they are ready to plant outdoors upon receipt and you can expect delicious bumper crops for decades to come. Once planted they will remain compact, growing to just 3m tall after 5 years. ‘Avalon Pride’® was originally discovered by Miss Margaret Proud whilst out walking in woodland adjacent to her fathers garden in Washington State, USA. She quickly realised that it showed no visible signs whatsoever of the dreaded peach leaf curl, and, because she loved eating fresh peaches, decided to propagate her own tree. Having successfully done just that, some years later, a large bear decided to dig the tree up and smashed it to pieces! With just a handful of branches remaining, she skilfully grafted some of them on to another peach tree, thereby saving the variety and making sure that you can still enjoy this super variety today. Each and every Peach ‘Avalon Pride’® tree that is growing around the world today has been raised from that same lineage.